Emily Collins. Age 21. Hometown, Auckland NZ. 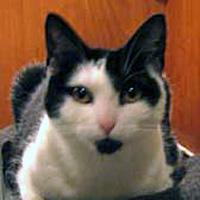 2nd year on Vanderkitten-Focus. Specialty: riding uber fast. 2012 -Three wins and counting. 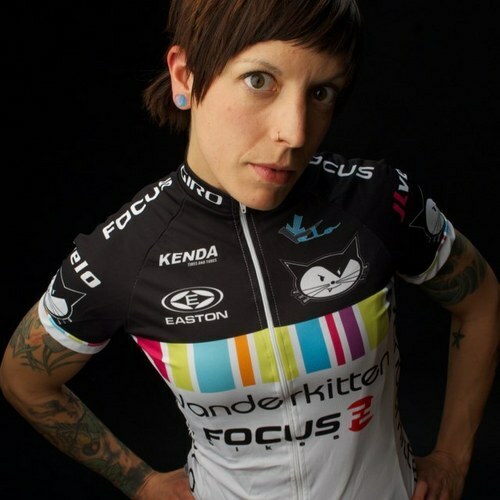 Vanderkitten-Focus rider Maura Kinsella and the stylish 2012 KASK "Mojito"
KASK Helmets is set to make a colorful impact on the the 2012 NRC Season with Vanderkitten-Focus Women’s Cycling. KASK America is the North American branch of Kask S.r.l., an Italian company that specializes in developing, designing, and manufacturing of safety helmets of the highest quality. In every field of application KASK helmets are at the forefront, be it cycling, downhill skiing, ski touring, mountaineering, climbing, rescue or work safety. 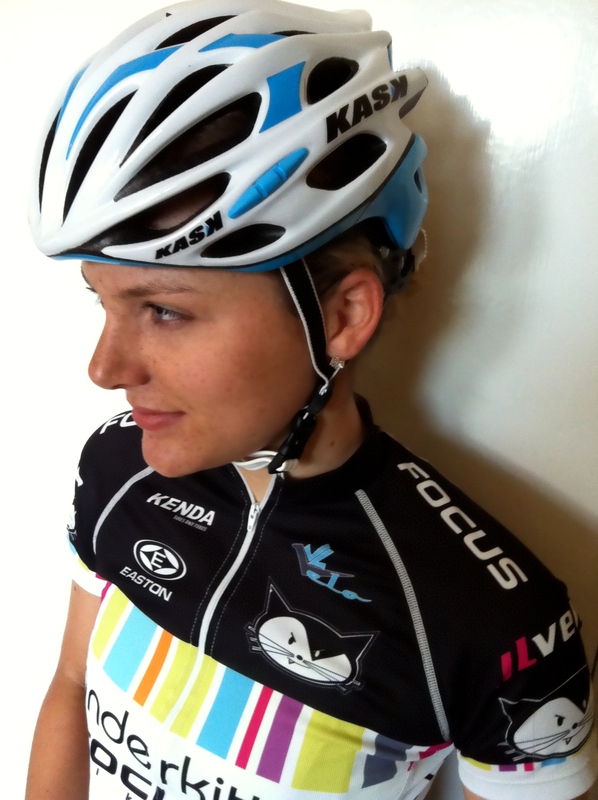 Safety Equipment market -leader KASK, will add to its sponsorship of UCI Pro Team SKY Pro Cycling and UCI Continental Team Exergy by partnering with the Berkeley, California based Vanderkitten-Focus. 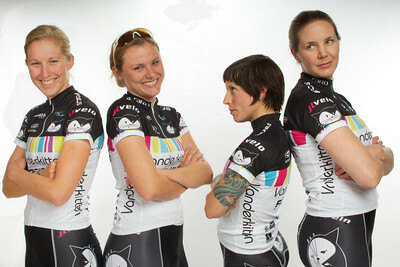 Vanderkitten-Focus athletes, including New Zealand U23 Champion Emily Collins, rising US talent Maura Kinsella and pixie sprinter Starla Teddergreen will exclusively wear KASK helmets, including the “Vertigo”, “K-10 Dieci” and new for 2012 “Mojito” in KASK’s attractive colors with limited edition schemes designed by Vanderkitten. In Time Trials the riders will benefit from the K-31 Chrono. 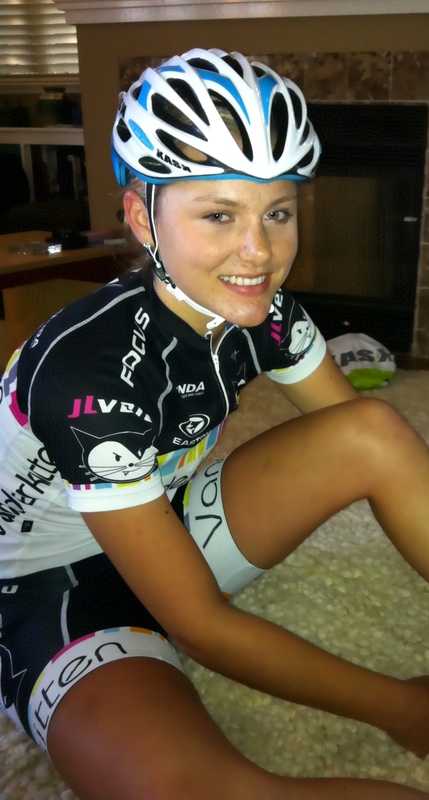 “Vanderkitten Athletics is delighted to be working in conjunction with KASK America. 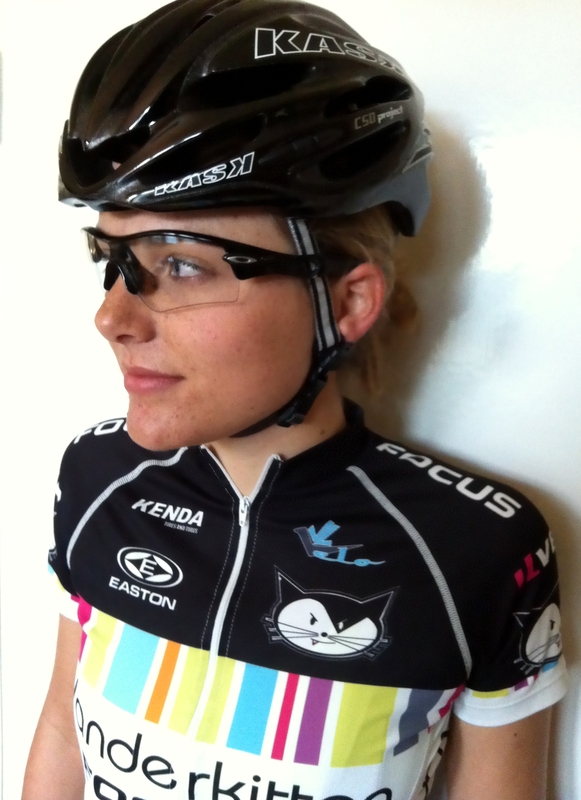 Not only does KASK represent the finest Italian quality and craftsmanship, but the helmets are sleek, functional and conform to the highest safety standards” says Vanderkitten-Focus director, Jono Coulter “Plus Vanderkitten creator Dave Verrecchia jumped at the chance to add Ophelia Vanderkitten to the brilliant colour schemes featured in the KASK range”. 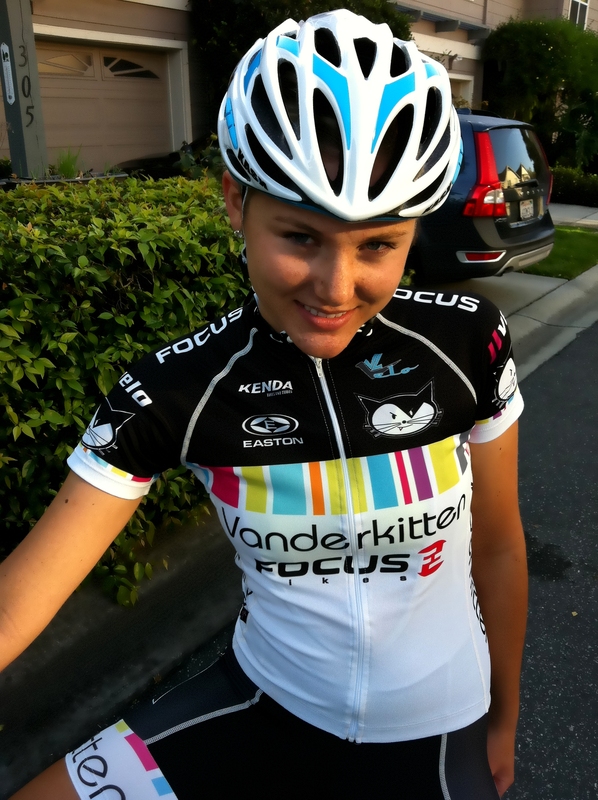 KASK helmets with Limited Edition Vanderkitten designs will be available exclusively on the www.kaskhelmets.com and www.vanderkitten.com websites early in 2012. KASK’s perfectly ergonomic helmets, produced entirely in Italy, were developed to fit the needs of world’s top athletes, and therefore ensure the wearer unparalleled comfort even in the most rigorous circumstances. All KASK products are 100% made in Italy and passed through the most rigorous safety and quality tests of the KASK’s distinctive CSD Project – Comfort-Safety-Design. All KASK’s exclusive designs and product features implemented in the helmet collections are absolutely innovative, proprietary and protected by numerous patents.